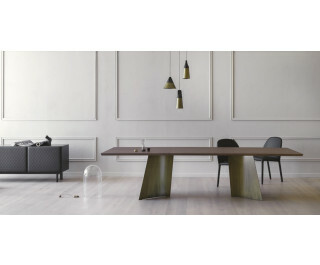 Fallow is the emphasis table and lightness. It stands as element-looking sculptural decoration, but light: the curved metal legs should look similar to paper, giving rise to a new language of furniture that combines simple construction and formalities. The plan is available in both fixed and extensible version (Fallow plus).